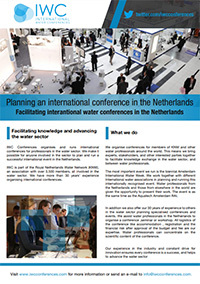 IWC International Water Conferences is the foundation of the Royal NetherlandsWater Network (KNW) which organizes international conferences on behalf of KNW. Since 1984 the foundation has organized a large number of international conferences focussing on topics such as drinking water, wastewater and water management. IWC Conferences organises international conferences for professionals in the water sector for business opportunities and networking. We make it possible for anyone involved in the sector to plan and hold a successful international event in the Netherlands. IWC is about meeting, exchanging experiences and sharing best practices among watersector professionals. IWC activities encourage and support the international network of watersector professionals in order to develop solutions for resilient cities and circular economy and to emphasize the importance of the Dutch watersector. We organise conferences for members of KNW and other water professionals around the world. This involves bringing experts, stakeholders, and other interested parties together to facilitate knowledge exchange in the water sector, and between water professionals. One of the main events we organize is the biennial Amsterdam International Water Week. We work together with different international water associations to plan and run this internationally recognised event. Water professionals from the Netherlands and from all ove the world are given the opportunity to present their work at Aquatech Amsterdam RAI. In addition, we also offer our 30 years of experience to others in the water sector who are planning specialised conferences and events. We help water professionals in the Netherlands organise conferences or workshops as well as take care of the logistics, such as accommodations and registration. We can also take on a part of the financial risk after approval of the budget and fee. This allows water professionals to concentrate on the scientific content. Our experience in the industry and constant drive for innovation ensures every conference we run is a success, and helps to advance the water sector. He received his PhD (1994) through research on microbial adhesion on solid surfaces and biodegradation of halogenated compounds in groundwater and soils, which he conducted at Wageningen University. Huub Rijnaarts heads multiple research projects focusing on water technology, resource recovery and creating resilient cities. 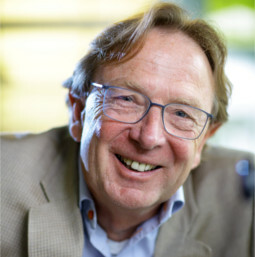 Erik Roesink started his active “membrane life” in the seventies, while studying at the University of Twente in The Netherlands. In the mid-eighties he was one of the co-founders of X-Flow, now part of Pentair, and one of the global leading membrane companies. In 1997 he became the managing director of X-Flow. Early 2013 he left Pentair X-Flow. At that time he already was part time professor Advanced Membranes at the University of Twente, were he developed novel hollow fibre nanofiltration membranes. Based upon this development he started a new membrane company NX Filtration, were the focus is on the production of hollow fibre membranes for nanofiltration, but also a new generation ultra and microfiltration membranes. Prof. dr. Annemarie van Wezel (MSc Biology, PhD environmental chemistry and toxicology) has 25 years of experience as scientific researcher in toxicology and chemistry, risk assessment, cost-benefit analysis and environmental policy evaluation. She published over 50 papers in peer-reviewed scientific journals, and numerous reports. She is experienced in working close to the political process and in interaction with press. She managed various large complex interdisciplinary research programs. She is well-experienced in successfully managing and building research groups up to ca. 60 people. She served as a program director on ‘Environmental risks of nanochemicals’ (7,5 Meuro) in the FES funded NanonextNL, and leads the consortium ‘Shalegas and Water’ (1,8 Meuro) funded by NWO/ALW and water utilities. She is a member of the Dutch Board on authorization of plant protection products and biocides, and of the Dutch Health Council. She is serving as a chair (by picket) for the Crisis Expert Team for environmental and drinking water incidents. 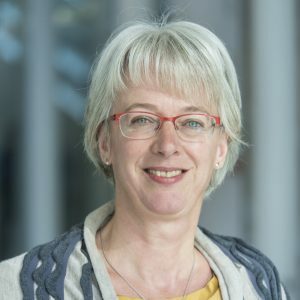 She currently serves as a principal scientist and professor on Water quality and health at KWR Watercycle Research Institute and Utrecht University Copernicus Institute. The conferences, organised by IWC, give the opportunity to Dutch water professionals, including PhD students, to discuss the challenges in the water sector. Innovative solutions are needed to solve the problems of the future, and the water sector in The Netherlands is a frontrunner and can demonstrate many show cases. For me it is a honour to identify topics of interest and initiate contacts for the organisation of specialised conferences, keeping the costs as low as possible to facilitate the participation by the leaders of the future. 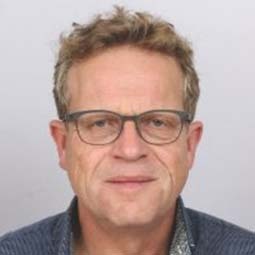 Prof Louis Cornelis (Luuk) Rietveld is full professor Drinking Water and Urban Water Cycle Technology and Head of Department at Delft University of Technology, Faculty of Civil Engineering and Geosciences, Department of Water management. After finalizing his studies Civil Engineering at Delft University of Technology in 1987, he worked until 1991 as Assistant and later as Associate expert for the Dutch Directorate General for International Co-operation in Mozambique. In that period he was employed as Assistant Professor Sanitary Engineering at the Eduardo Mondlane University, Maputo, Mozambique. In the period 1991 until 1994 he worked at the Management Centre for International Co-operation, Delft University of Technology. From 1994 he has been working at the Department of Water Management, section Sanitary Engineering of Delft University of Technology. In 2005 Luuk Rietveld defended his PhD thesis entitled “Improving Operation of Drinking Water Treatment through Modelling”. In his present position, that he obtained in 2010, he focusses his research on closing loops in the urban water cycle, the removal of organic micro-pollutants, and optimization of drinking water treatment processes and systems. He has supervised more than 25 PhD students on the mentioned topics. The research results were published in over 150 publications, including more than 100 peer-reviewed journal papers. In the water sector we can and must learn from each other in other to create the synergy and creativity required for the development of solutions for the immense global water challenges. To enable that, it is important that the scientists and specialists from industry, public water companies and governments are facilitated in meeting each other in a setting where they can discuss and present relevant topics. IWC is an important facilitator of such events. I am therefore pleased to be part of the IWC board. Johannes Boonstra (1969) is trained as an environmental biotechnologist (BSc.) and has worked as researcher, technologist, business developer and managing director/board member. In his career he has been responsible for government grants, license and contract management, management of research teams and international commercial cooperation. From 1992 till 2003 he has worked in several management positions (research, technology and business development) at Paques bv (situated in Balk, the Netherlands). Paques is a global market leader in biotechnological waste water and gas purification systems. 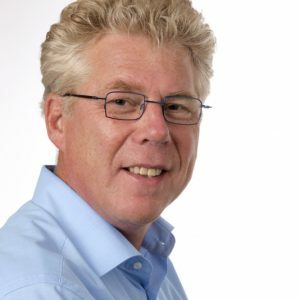 In 2003 Boonstra joined Wetsus (situated in Leeuwarden, the Netherlands) as member of the executive board and caries responsibility for all financial, juridical and organizational issues. Wetsus, European centre of excellence for sustainable water technology, is a facilitating intermediary for trend-setting knowhow development. The inspiring and multidisciplinary collaboration between more than 100 global companies and 20 European research institutes in Wetsus results in innovations that contribute significantly to the solution of the global water problems. As a member of the board of ICW it is possible to bridge science and practice, and to connect the Dutch water sector with international developments: The Netherlands have a lot to offer to the world, but at the same time the Dutch can learn a lot from the world. It is just a way of sharing knowledge! 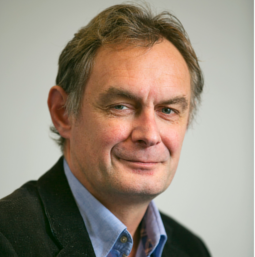 Jan Peter van der Hoek is Professor of Drinking Water Engineering at Delft University of Technology. He also is head of the Strategic Centre of Waternet, the water cycle company of Amsterdam and surroundings. In this position he is responsible for the innovation strategy and the research agenda of Waternet. 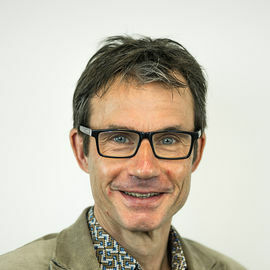 Jan Peter van der Hoek is a member of Standard Commission 1 of EurEau, the European Union of National Associations of Water Suppliers and Waste Water Services. Standard Commission 1 deals with drinking water affairs. 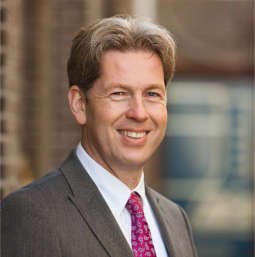 Jan Peter van der Hoek is chair of the Program Committee of the joint research program of the Dutch drinking water companies, and he chairs the Program Council of the TKI Watertechnologie, part of the Dutch Topsector Water. Monique Bekkenutte, executive director of the Dutch Water Association. As the Dutch have water in their genes, IWC (part of the Dutch Water Association) reinforces waterprofessionals to share knowledge and experience with their international colleagues all over the world. In order to speed up the development of the circular economy and resilient cities we need innovations in water management, spatial planning, water supply and water quality. That is why IWC supports a dynamic and innovative network of waterprofessionals for sharing knowledge and experience. 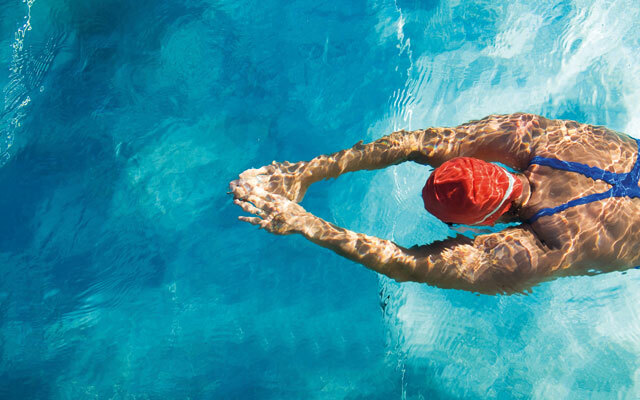 By organizing international meetings, IWC amplifies the ability to improve and innovate on water issues. 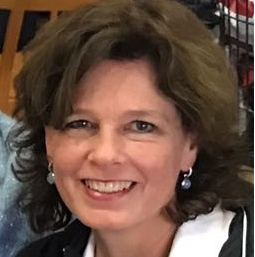 Monique Bekkenutte (1964) graduated on Human Movement Science and she has a master degree in Health Science. She worked for 20 years as a marketing- and communication professional at KLM (Royal Dutch Airlines 1989-1999), of which 6 years in Revenue Management, and as communication manager at the Nuclear Research Institute NRG (1999-2001), VU University Amsterdam (2001-2007) and change manager (2007-2009) at the Mathematical Institute CWI. She started in 2009 as executive director at the Royal Dutch Water Association. She is publisher of the H2O-media and member of the management board of the Amsterdam International Water Week. She is board member and secretary of the Wetskills Foundation (a students exchange initiative on water issues), International Water Conferences and the H2O-foundation. Furthermore she is secretary of the board of the Patients Association on ADHD and Dyslexia and she is chair of the Foundation New Movements in Transport and Mobility.